Switzerland’s grand natural beauty puts it on the list of the best European vacation packages. Though Switzerland has remained neutral throughout most of history, you won’t be able to remain neutral about the fantastic time you’ll have there on a guided tour of the country, like this one hosted by AAA Vacations. Scenic lakeside towns, views of the Matterhorn and an Alpine journey along the famous Bernina Express route – this round-trip from Zurich makes this one of the best European vacation packages and a chance-of-a-lifetime experience. You’ll enjoy Insider moments like learning to cook tasty risotto from Joelle in her family vineyard’s garden, and hearing how the love of wine brought her husband’s grandfather to the Italian-speaking area of Switzerland, as the couple shows you around their winery. Inspire your next European vacation with this free guide to the best attractions in Europe. Begin your Swiss trip in Zurich, Switzerland’s financial center and biggest tourist destination. After you’ve settled in, tour Zurich’s city streets filled with museums, art galleries, financial institutions and more, plus the beautiful vistas by Lake Zurich. The next stop is Lake Geneva, but before you arrive there, stop in Berne, the capital city of Switzerland and a UNESCO World Heritage Site. The quaint cafes, boutiques and bars of Berne are a can’t-miss attraction of the city. When at Lake Geneva, which Switzerland shares with France, visit the town of Montreux, famous for its Jazz Festival. Then, enjoy a lakeside drive to Evian les Bains, a small French town on the southern shores of Lake Geneva. Only the best Europe packages can give you a taste of more than one European country. 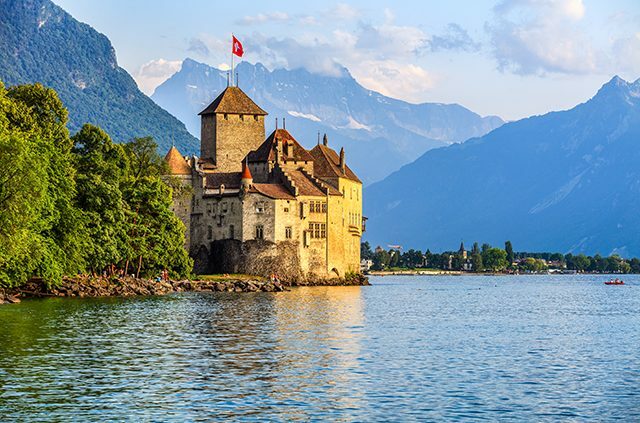 Today, visit the picturesque Chillon Castle immortalized by Lord Byron’s poem “Prisoner of Chilon.” Tour the castle and see recreations of the magnificent rooms that the residents of the castle would have lived in, with architecture and furnishings dating back to the Bronze Age. Afterwards, continue your journey to Zermatt, which is known as a mountaineering and ski resort of the Swiss Alps. Spend the day in Zermatt and take advantage of the Alps — ski, climb, hike or just sit by the fire and sip on hot chocolate. If you like, take the Matterhorn express gondola to the Klein Matterhorn, a peak of the Pennine Alps, where the views across the mountain peaks are spectacular. You can even catch a view of nearby Italian ski resorts. Next, leave chilly mountain resort and the Matterhorn behind and travel to another body of water shared by another country: Lake Maggiore. Visit lakeside Locarno, the city with the warmest climate in Switzerland, which neighbors Italy. Enjoy an authentic luncheon with a Swiss family in a small mountain village to learn about the country’s culture firsthand with a bit of an Italian flavor. Today is a day of traveling, but you won’t mind seeing the fantastic views from the car window. Head to nearby Lake Lugano and travel along its shores to the Italian town of Menaggio, which offers beautiful views of Lake Como. Then, continue your journey back across the Swiss border, where you’ll enter the Upper Engadine valley and make a quick stop in the town of Tirano, which is adjacent to the Swiss-Italian border. There, you’ll board a train to get to the next stop on your journey: St. Moritz, an alpine resort town in the Engadine valley. You’ve had your fun in the Italian-speaking portion of the country — now it’s time to head back to the German-speaking part of the country. Historical Lucerne is home to two famous landmarks: the Lion Monument and the Chapel Bridge. The Lion Monument honors the Swiss guards that were killed in the French Revolution. The Chapel bridge, built in the 14th century and named after St. Peter’s Chapel, crosses the Reuss river. Spend the day as you please; wander around the old city, shopping for Swiss watches and chocolate, or riding the world’s first Cabrio cable car to the top of Mount Stanserhorn. Finish off the trip by traveling to Interlaken, a popular tourist destination town in the Bernese Highlands region of the Alps, which lies between Lake Thun and Lake Brienz, in the shadows of the Jungfrau Mountain. With your time in Interlaken, explore the quaint villages, visit the Schadau Castle or go white-water rafting if you’re feeling adventurous. Have lunch before you head back to Lucerne, nearing the end of your alpine adventure. End your trip where it began in Zurich. 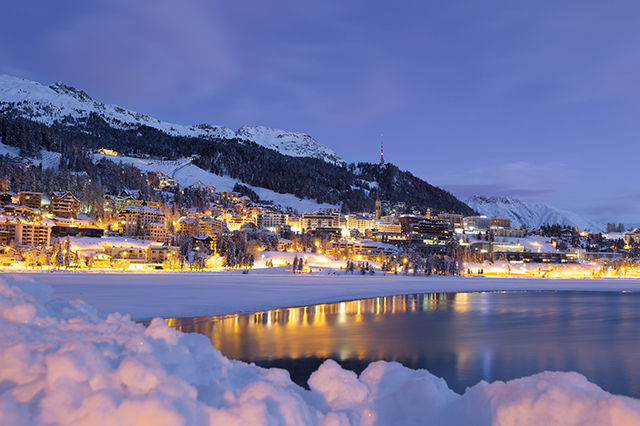 Say farewell to Switzerland, the Alps and your newfound friends at the end of your alpine holiday. Have you visited the majestic Alps before? Let us know in the comments below. Article tags: a cruise, AAA, best europe packages, best europe trips, best european vacation packages, best european vacations, car, dinner, europe packages, european vacation, european vacation packages, financial, garden, hike, home, lunch, resorts, save, take a cruise, travel, trip, trip from, vacation, vacation packages.